A decade after 9/11, the LA-area is much better prepared to prevent terrorist attacks, but the city remains vulnerable, according to law enforcement experts. "We’ll never be one hundred percent safe, one hundred percent secure," said Ron Boyd, chief of the LA Port Police. 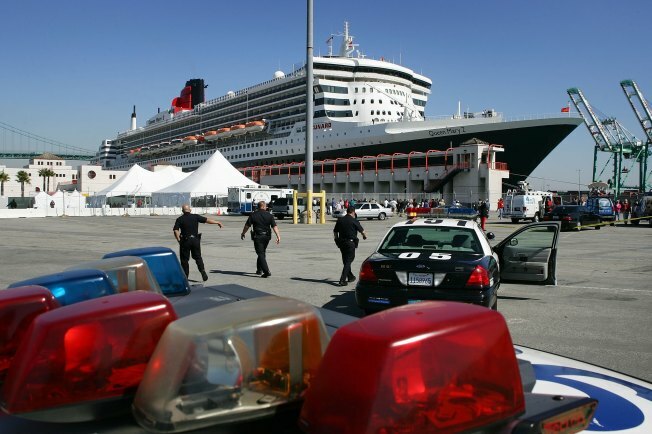 The port of LA and Long Beach remains one of the top terrorist targets in the country, because half of the nation's consumer goods enter the country there, and experts have long worried that terrorists could try to smuggle weapons in through the port, or attack a cruise ship. Since 9/11, the port has spent over $400 million on security upgrades, including a new command center that opened this year, with 300 high-tech cameras, Boyd said. 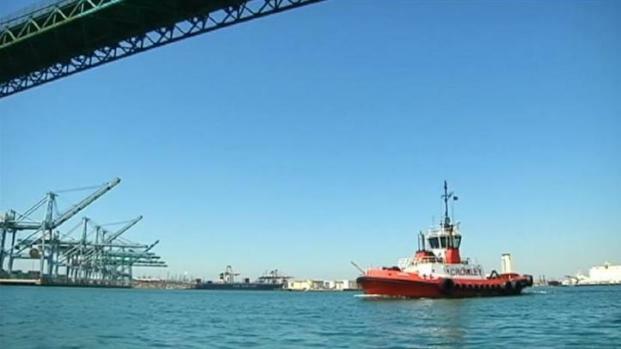 “Now we’re able to take a 360 degree view at any time at what’s going on at the LA port complex," Boyd said. Other police agenices say LA's prime terrorism targets are better protected than they were a decade ago, including trains, buildings and population centers. One reason is the Joint Regional Intelligence Command, known as JRIC, located in Norwalk. The first such counter-terrorism facility of its kind in the nation, the JRIC employs local police who work around the clock examining the latest terrorism leads and information from 200 police agencies and the FBI.. The center is considered a example of how police agencies are working together to counter terrorism. "We are doing a better job of collecting intelligence, a better job of analyzing and sharing intelligence," said Erroll Southers, associate director of the Homeland Security Center at USC. Across southern California, first responders like the LAPD and LA Fire Department now train together in anti-terrorism preparations. "You can walk into a classroom and see LAFD, LA County Fire, Santa Monica Fire, LAPD… all in one room, said Battalion Chief Glenn Miyagishima of the LA Fire Department. "Ten years ago, you probably wouldn’t have seen that." Local police and fire departments have also laid plans to instantly inform the public of a terrorist attack, using Twitter and other social media tools. "Our communication level has gone so wide now," Miyagishima said. "It’s instantaneous. We can reach out to 30,000 people in a second, just like the media can." But experts say the task of keeping LA safe has become more challenging, because the enemy is changing and not limited to well-established groups like Al Qaeda. Since 9-11, many attempted terrorist attacks are the work of individuals, who police know little or nothing about. "I think that’s the greatest fear. It is much harder to detect the lone wolves, the homegrown violent extremists, said LAPD Deputy Chief Mike Downing, head of the department's Counter Terrorism and Special Operations Bureau. That's why police say more than ever, they're depending on a vigilant public to report suspicious behavior. Numerous attempted terrorist attacks have been prevented because watchful citizens took action, like the failed bombing of a Northwest flight to Detroit on Christmas 2009. Passengers noticed strange behavior from a Nigerian national on the flight and subdued him. The man was found to have explosives on his body. “There have been a whole host of thwarted plots over the last ten years," Southers said. "Most of those thwarted plots have come as a result of people forwarding information."